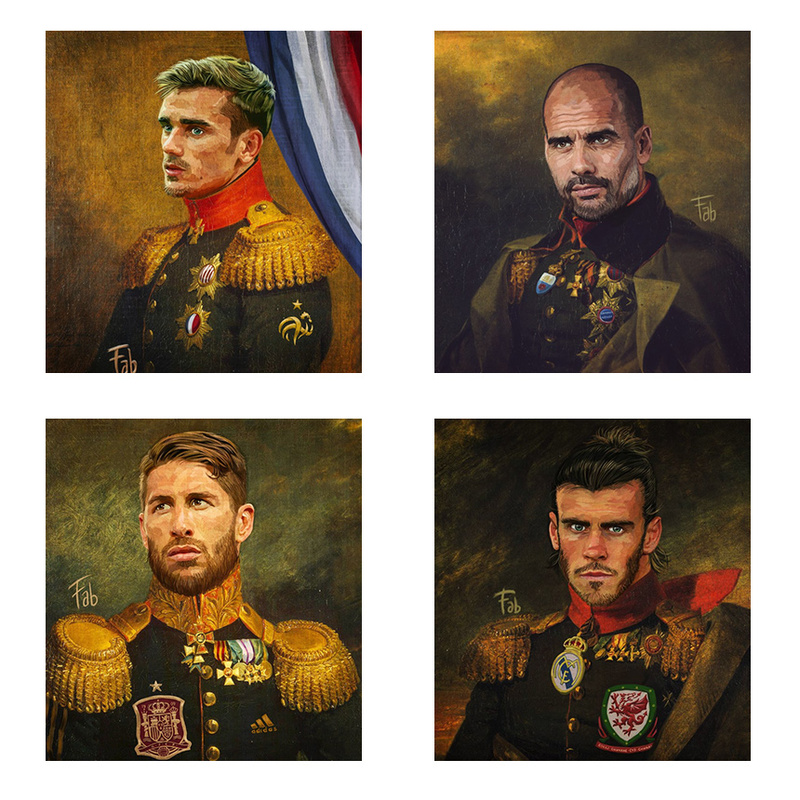 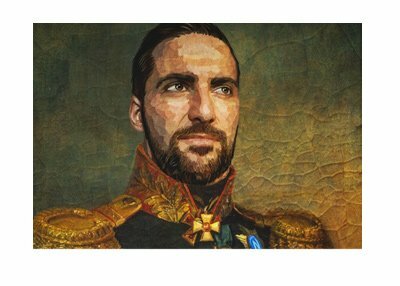 The 42-year old digital artist from Rome, Fabrizio Birimbelli, who goes by the name of Pupazzaro, is creating extraordinary digital paintings of famous footballers as military leaders and nobles from the XIX century. 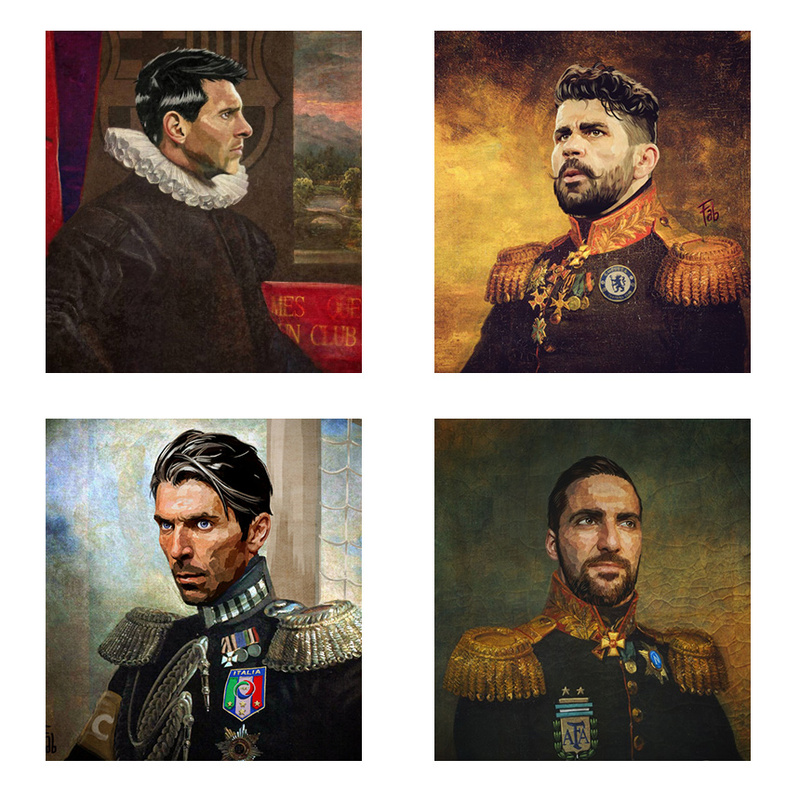 Some of the digital paintings below have names such as Don Diego Costa, Sir Pipita (Gonzalo Higuain), Duke of Wales (Gareth Bale) etc. 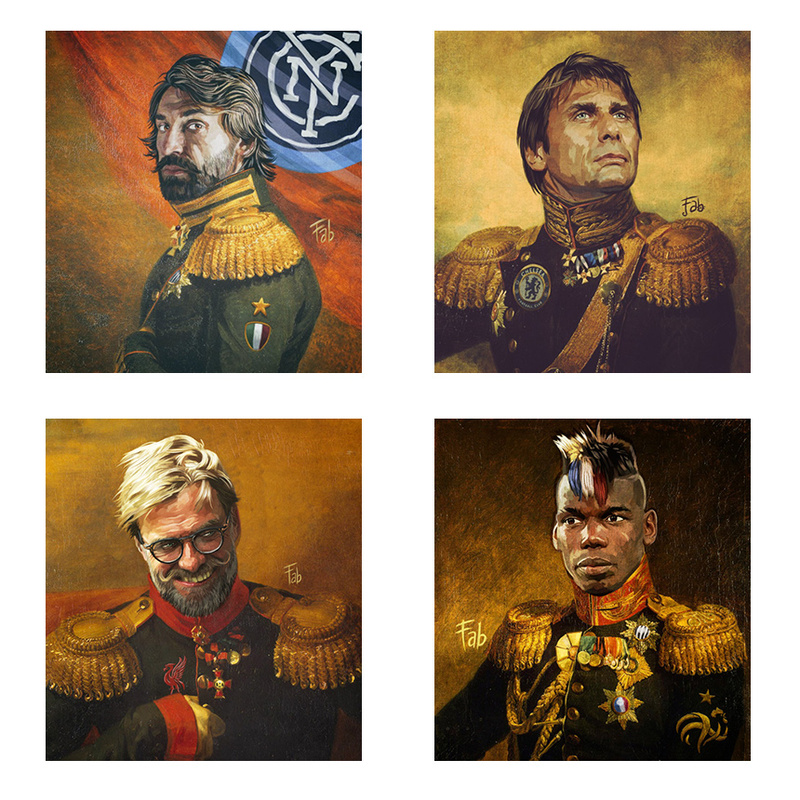 The art of Pupazzaro is spreading fast.